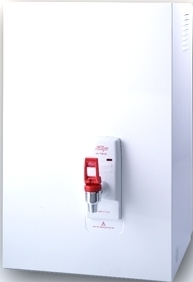 specifically developed to offer the consumer all the benefits that a boiling water unit has to offer while at an affordable price. designed to deliver from 18 to 240 cups of boiling water at one time operating within one degree of boiling point. Zip Autoboil is equipped with a two way safety tap and 5 micron or sub micron triple action filters to provide better tasting hot beverages.